Last Friday after work, I was heading home after my appointment at the beautician. I exited the Toei Oedo line via Maynds Tower with my Subway salad in tow – yes, I get very lazy after work and look for quick fixes. It’s awful I know, but I hate cooking so I never seem to be able to change this, regardless of all the resolutions made. As I strolled wearily towards my apartment, dragging my feet a little, I heard some music in the distance. “A parade?” I thought to myself. I was intrigued yet famished and exhausted. I wanted to go and see what was happening, but I also wanted to go home and eat my dinner. Knowing that once I got home I would never leave, I made my way toward the traditional Japanese music. 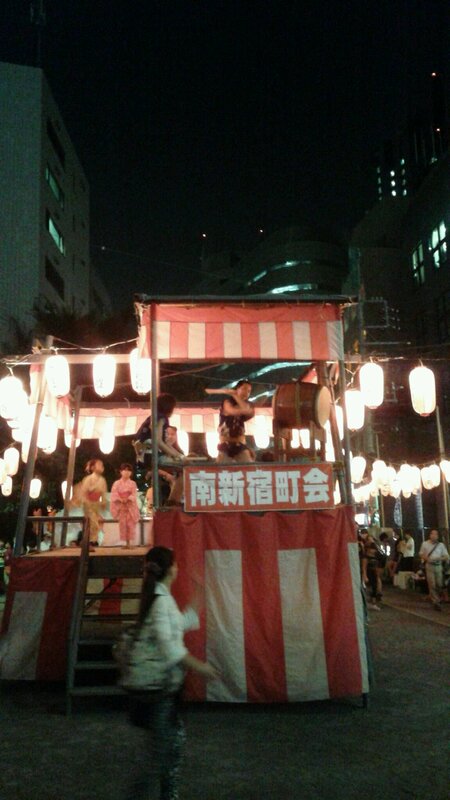 Just a stone’s throw from where I was, I came upon my local neighbourhood matsuri, or festival. People were eating, drinking, chatting, and dancing to their hearts’ content! Children were darting around the revellers, playing games. 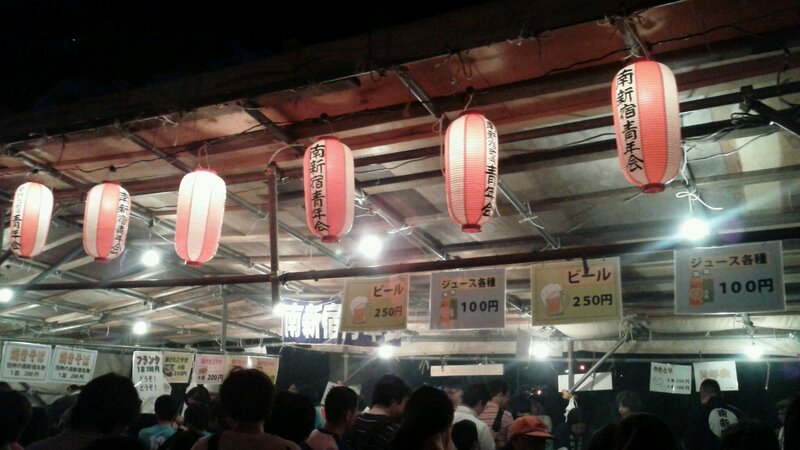 Grilled sausages on sticks made my mouth water, and watching the school children munch on mountains of colourful kakigori reminded me that I haven’t eaten any yet this year. 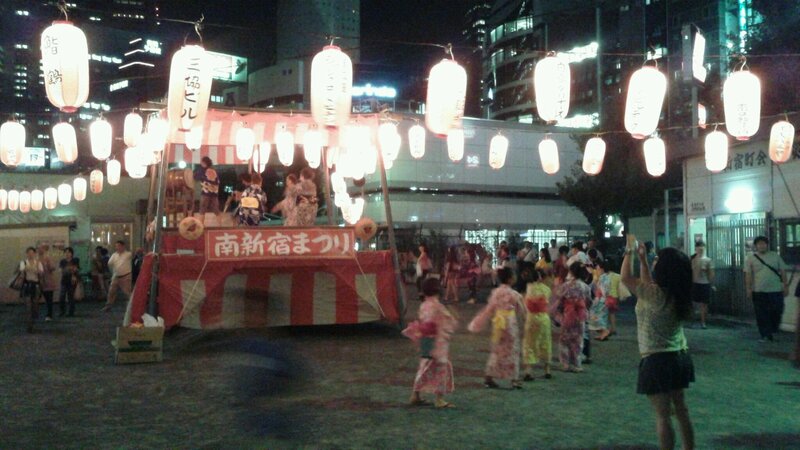 The liveliest and most entertaining part was the traditional Japanese dancing – Bon Odori (even though obon is long over). It was cute, and so heartwarming to see everyone participating, both young and old, men and women alike. Their smiles lit up the night even more than the beautiful paper lanterns swinging in the wind. It was my first time to see it live, actually. 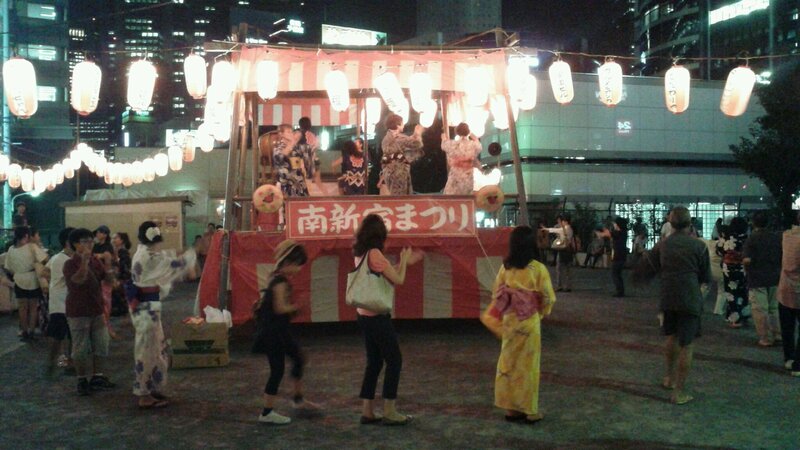 I always flee Japan during the humid summer so I always miss all the lovely festivals and firework displays. I badly wanted to join in, but, being loaded down with bags, it wasn’t an option for me. I was really impressed, and told my Japanese friends I thought it was so cool. They think I’m the only person in the world who thinks that! The taiko drummers were dynamic, pounding away with their sticks, switching places every minute without missing a beat. It’s hard work, clobbering a drum. They were exhausted by the end, but the grins on their faces said it all. The mundaneness of the everyday can make one so blasé – I certainly tend to be – and it takes a special moment to appreciate the magic in the the little things. It’s precisely this kind of event – unexpected, stumbled upon, so very local – where I can mingle with others, and see an authentic aspect of truly lived reality that makes me fall in love with Japan all over again. It works like a charm every single time. 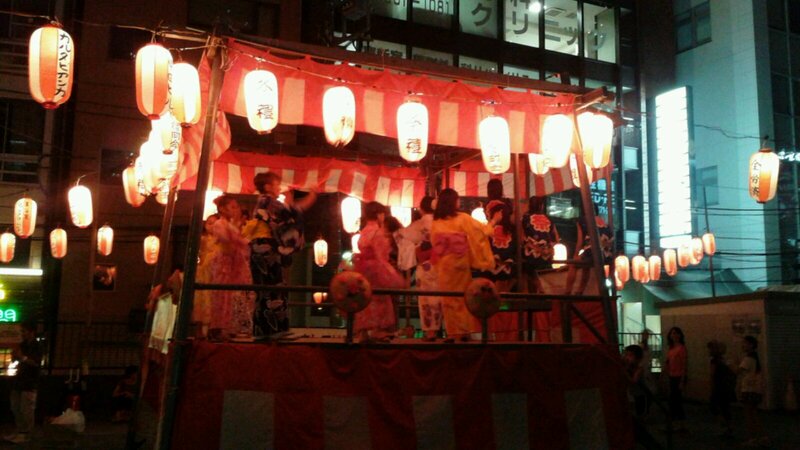 Adorable little girls wearing their colourful yukata. 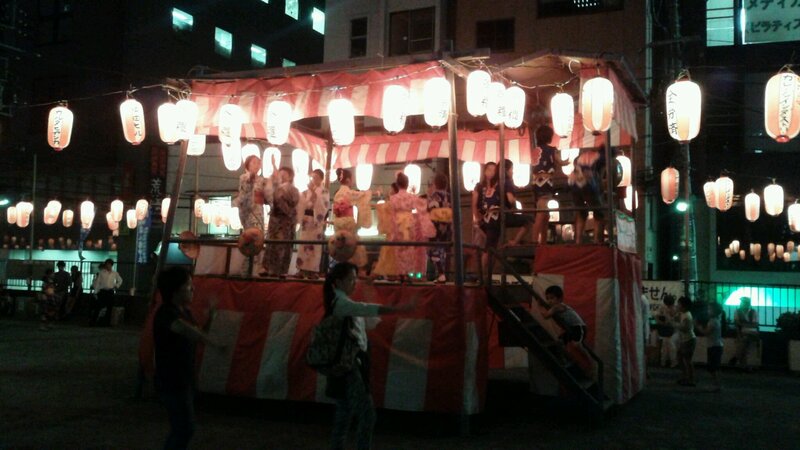 The dancers on the stage, under the glow of beautiful paper lanterns. A sea of people queuing for food and drinks. The dancers and the drummers, who are waiting in line for their turn. Taiko girl in action – pure awesomeness. Actually, all of the drummers were girls and they rocked it! I love random festivals! It’s always great when you just happen by one, like hitting the lottery. It’s so random and lovely! That’s true, isn’t it? Those we don’t plan and stumble upon are the most beautiful.